This is a typical English sonnet. In fact, this may be the typical sonnet. If the lines are counted, fourteen will be the number. If the syllables per line are counted, ten will be the number. With regard to the rhyming, every other line rhymes, save the final two, which rhyme each other. I love writing sonnets. I love writing them because they force me to slow down and think very carefully about what I am saying and very carefully about how I am going say it. Routinely, I speak without thinking; ask my family. But if everything I said required fourteen lines, each line containing ten syllables in iambic pentameter (according to either an English or Italian rhyme scheme), I don’t think I’d ever speak intemperately because one does not simply lose one’s temper while writing a sonnet. If one does, the moment is over long before the sonnet is complete. Ten syllables per line in iambic pentameter means the sonnet’s author cannot use whichever words come immediately to mind. Iambic pentameter is commonly described as ba-DOOM, ba-DOOM, ba-DOOM, ba-DOOM, ba-DOOM. The “DOOM” gets the accent, stress, emphasis; the “ba” does not. 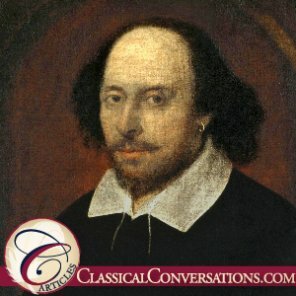 An easy example of a sentence in iambic pentameter is “I went to town to buy some bread and milk.” The author of a sonnet also quickly realizes that beginning a line with either “and” or “so” is very friendly to iambic pentameter, and if you read Shakespeare, you see that he knew that, too. When reading famous poets, one also realizes that the meter can be fudged. However, you and I are beginners. No fudging! Let the form shape you; don’t endeavor to reshape the form. English words have a natural emphasis, and that natural emphasis must be considered when writing a sonnet. In everyday life, one might say, “Take out the GAR-bage,” but one probably would not say, “Take out the gar-BAGE,” save for the purposes of sounding like a Frenchman regarding trash removal. Hence, one would not say “gar-BAGE” in a sonnet. The thing about iambic pentameter is that the author writes intentionally, keeping this emphasis in mind, but a sonnet does not have to be forced to read that way. A sonnet is read like normal, and ba-DOOM works well because it is fairly common for the accent to shift that way when speaking everyday English. At this point, go back and read Shakespeare’s eighteenth sonnet again, emphasizing the ba-DOOM of the iambic pentameter. You’ll probably notice it now, but also notice that you did not need to force the same rhythm the first time. Fourteen lines per sonnet means that the author cannot talk about too much at once. One hundred forty syllables disappear fairly rapidly. This helps a sonnet to be about just one thing. To meet the requirements of a sonnet, the poet must think about that one thing for an extended period of time, from several angles. However, when it comes to describing the one thing in the actual sonnet, the poet still only gets a hundred forty syllables. This means that he will have to think more than he will get to speak, which is something everyone needs to practice. Whether an English sonnet, which lends itself to forward movement and storytelling, or an Italian sonnet, which lends itself to consideration and contemplation, fourteen lines is all the author gets to work with. Think more. Talk less. Write sonnets. And then there’s the rhyming. Whether English or Italian, the words at the ends of the lines are highly regulated, which means that in proportion to the number of words in the given language, very few are available to the author to use at the ends of the lines. If the poet cannot find a rhyme (or a near rhyme) that communicates his idea, then either the idea has to be removed, revised, or put in a different line, or the line must be reworked so that it ends with a different word. When revising, a line that the poet previously thought complete may no longer be complete. The “perfect” word for the end of the current line may cause the “perfect” word at the end of a previous line to be null and void. Harmony must be discovered between the ideas one wants to convey and the words available to convey it, all while adhering to the sonnet form. Since there is frequent back-and-forth between the current line under consideration and previous lines already written, writing a sonnet is not linear. It is cyclical. Therefore, the arrangement and the rhymes the author loved so much the first time through may not survive the rewriting process. However, the author of a sonnet is also aware that resurrections sometimes occur. A line that was buried a few days ago may come back to life when a new order, a new idea, or a new rhyme comes to mind. I have not yet mentioned that the order in which ideas are presented is also somewhat regulated in sonnetry, though typically not as rigorously as other components. The first two quatrains (i.e., the first eight lines) often present a problem or an issue, and the final six lines present a solution to the problem or a resolution of the issue. With or without that particular rigor, the sonnet is still rigid, but not because it is dead. It is a living form, giving life to the poet’s ideas, the arrangement of those ideas, and the words finally selected to express them. The sonnet shapes the poet even as the poet fills the sonnet. And within that rigid form, the author finds freedom to swim about the recesses of his mind and the world around him at leisure. The sonnet leads the author down winding trails into deep forests of words and phrases and syntax and punctuation and accent, where she finds that language holds treasures reserved for the careful thinker, the ardent seeker. The sonnet is not only a form of expression, but also a vehicle of discovery, and within that rigid form, an unexpected freedom waits to be discovered. Marc Hays has been married to Jamie for 18 years. They have 6 children: a single, a double, and a triple. Yep, that’s right—triplets and twins. They have been home educating since 1999 and a part of Classical Conversations since 2010. Marc serves as the Leader Curriculum Developer for Classical Conversations MultiMedia. He also directs a Challenge III program in middle Tennessee. Marc enjoys his morning rituals of drinking coffee, reading books, and peeking in on the kids while they sleep. His favorite coffee is Costa Rican; his favorite author is C. S. Lewis; and his favorite kids are currently six in number. His lifetime aspirations are subsumed under one prayer: “Thy Kingdom come, Thy will be done, on earth as it is in Heaven.” A secondary goal is to be his great-grandchildren’s Challenge director. He is confident that the primary goal will come to pass. He hopes he is blessed with the secondary one as well.